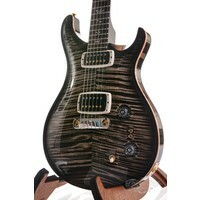 This guitar was part of the winter NAMM 2011 limited run of which only 100 were made. 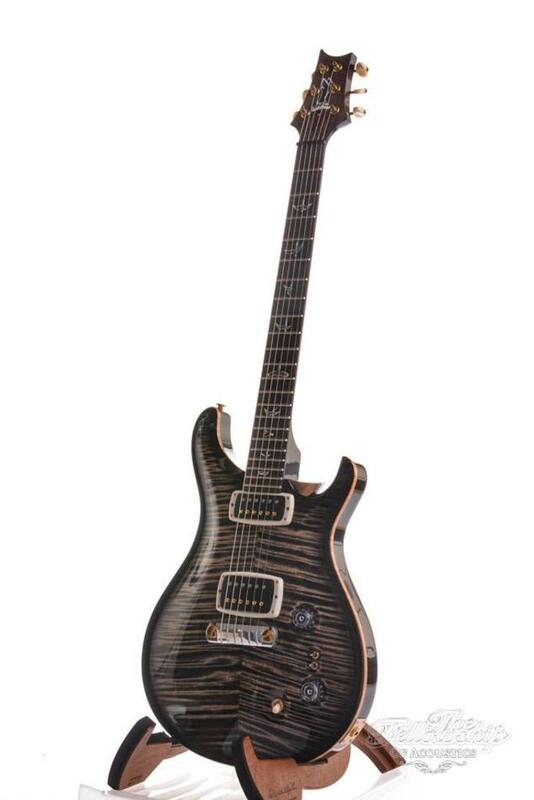 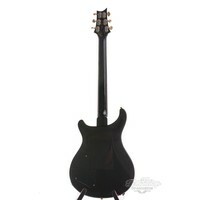 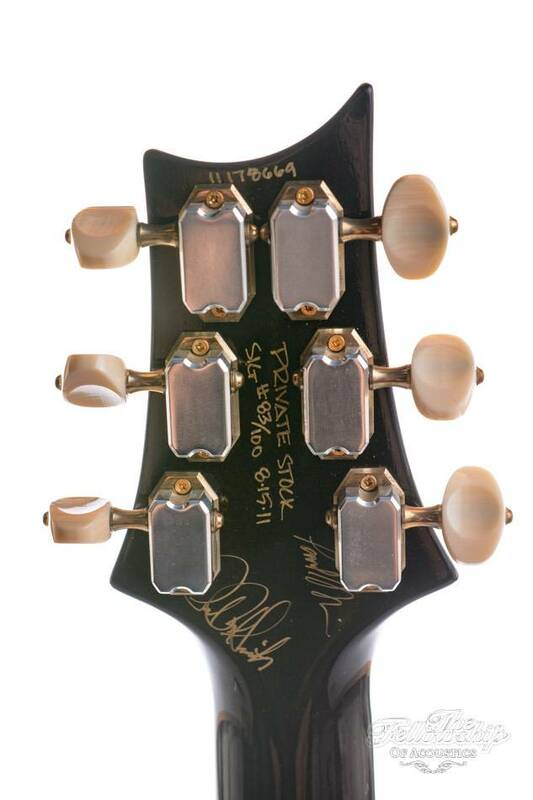 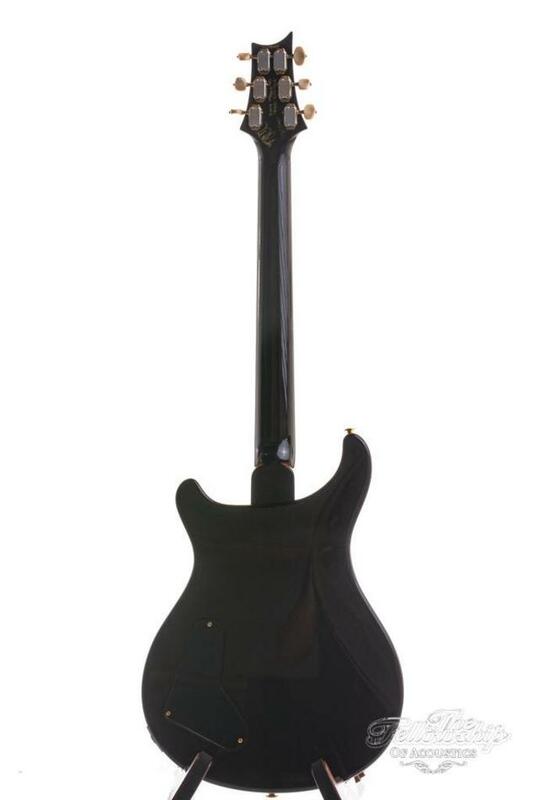 This so called "multi-endorser" Private Stock Signature model sold out within 90 minutes. 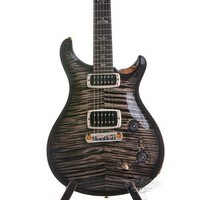 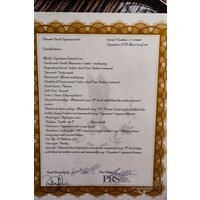 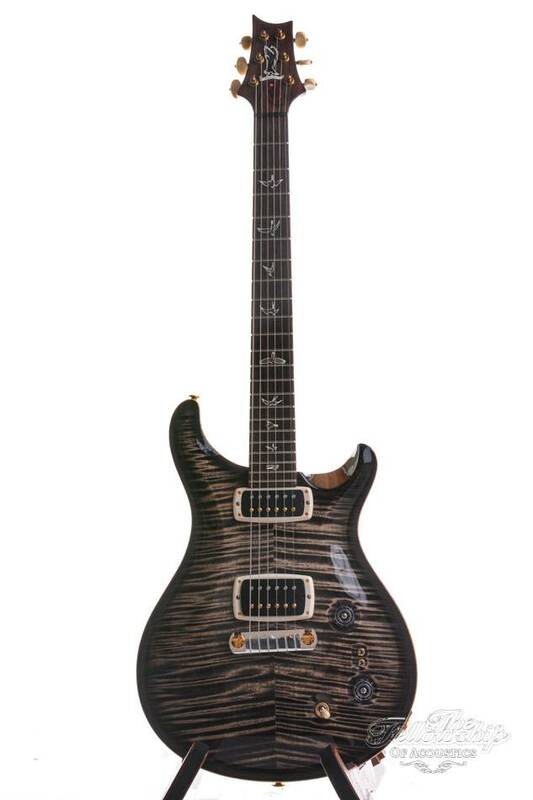 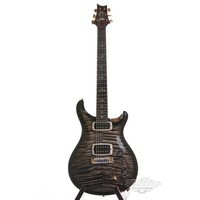 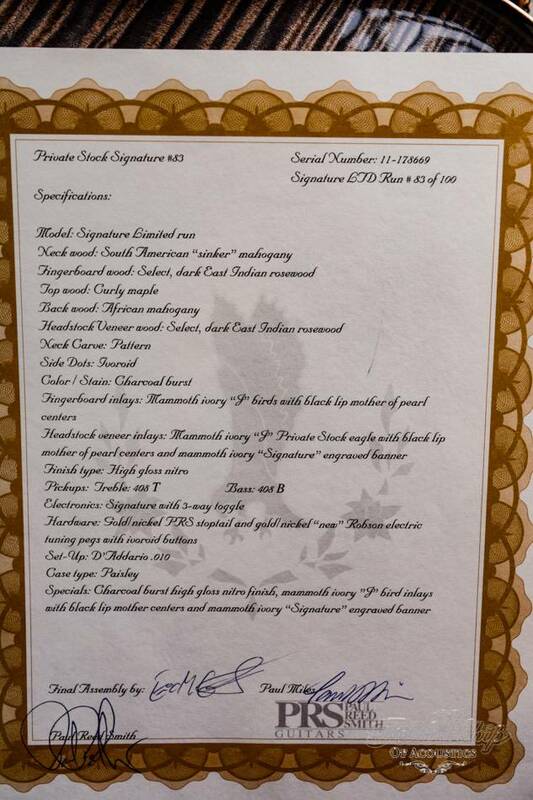 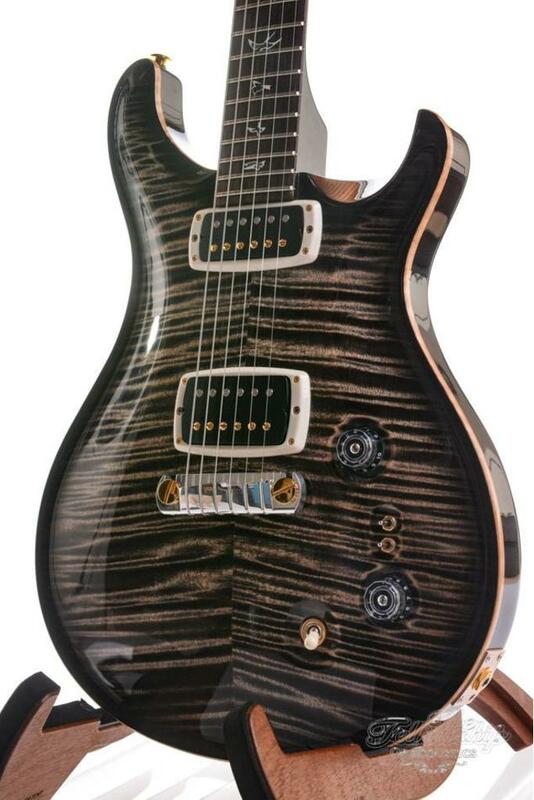 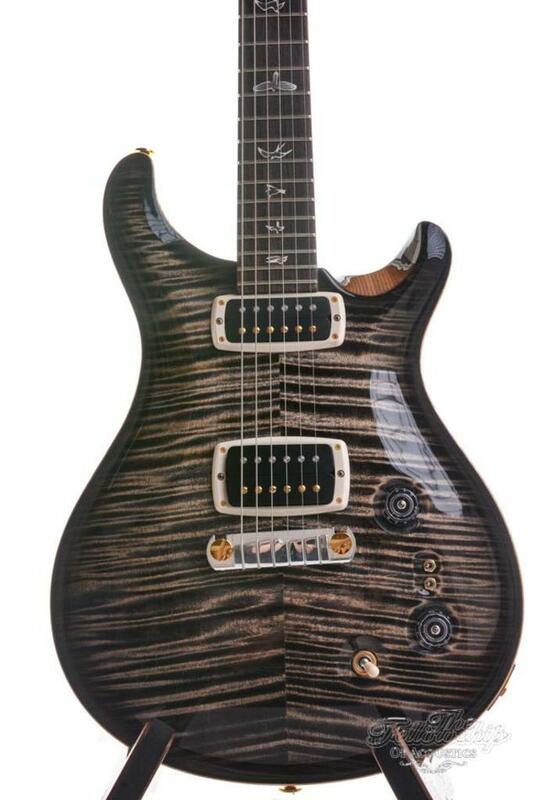 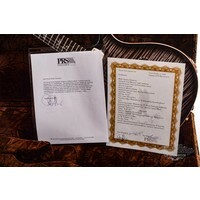 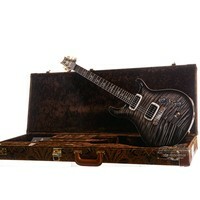 PRS Private Stock Signature Limited Run #83/100 Near Mint 2011. 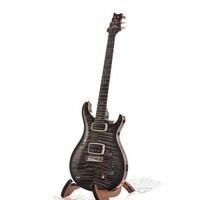 This guitar was part of the winter NAMM 2011 limited run of which only 100 were made. 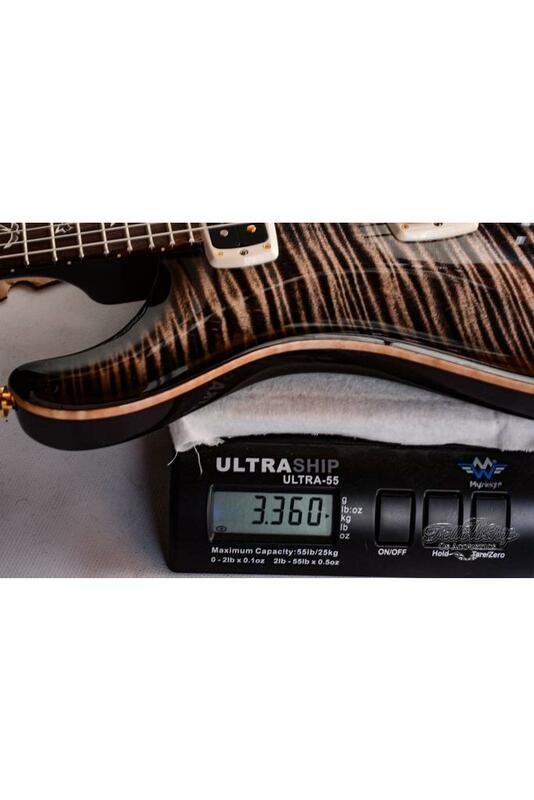 This so called "multi-endorser" Private Stock Signature model sold out within 90 minutes. 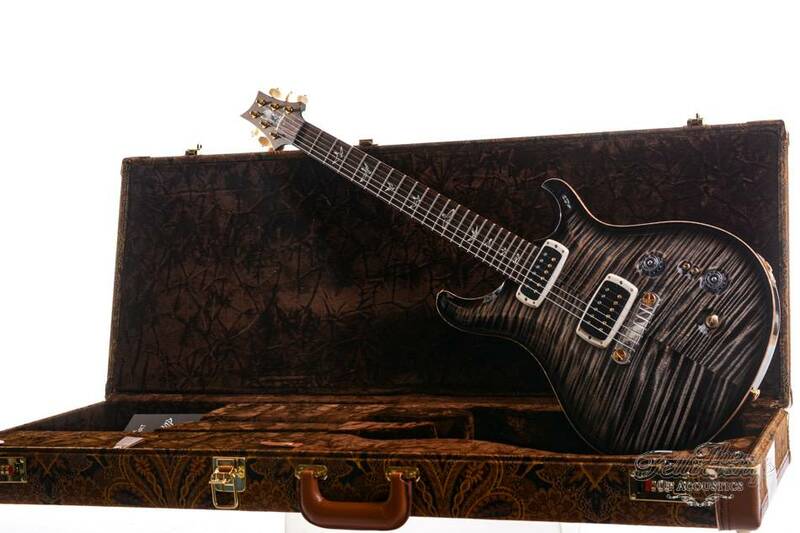 Number #83 has been finished in a breathtaking Charcoal burst. This instrument features a unique combination of pickups that sound like nothing else. 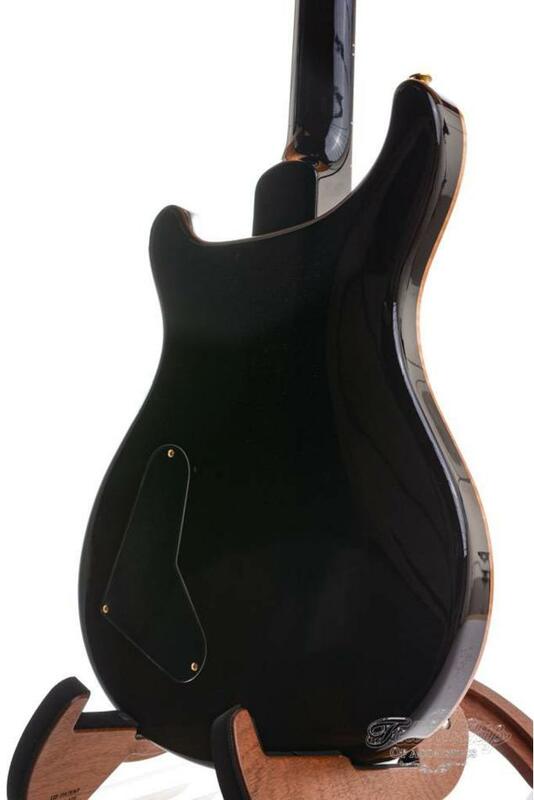 The 408T neck pickup is narrower while the 408B bridge pickup is a bit wider than a traditional humbucker. 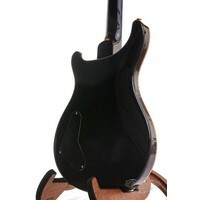 Add to this the flexibility of a coil-split for each pickup and you have eight different sounds at your disposal. 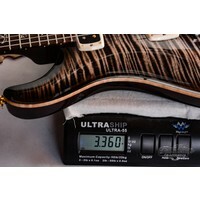 When you split the pickups an outer coil is added to the remaining single coil ensuring there’s no volumedrop between the various settings. 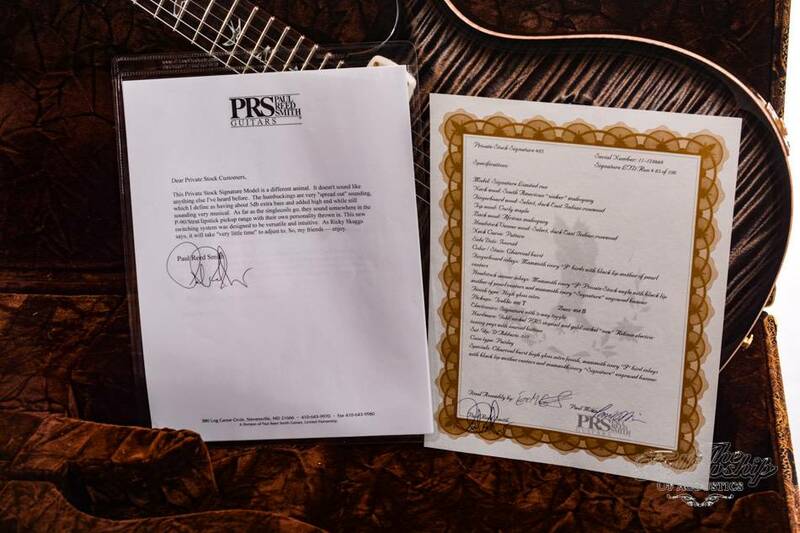 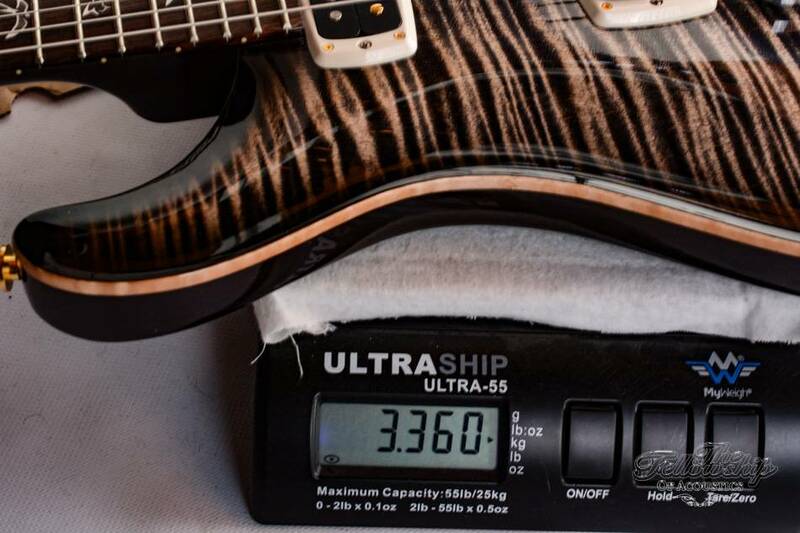 The quality of the tonewoods used by PRS is exceptional as they selected some exquisite pieces for this limited run of instruments. 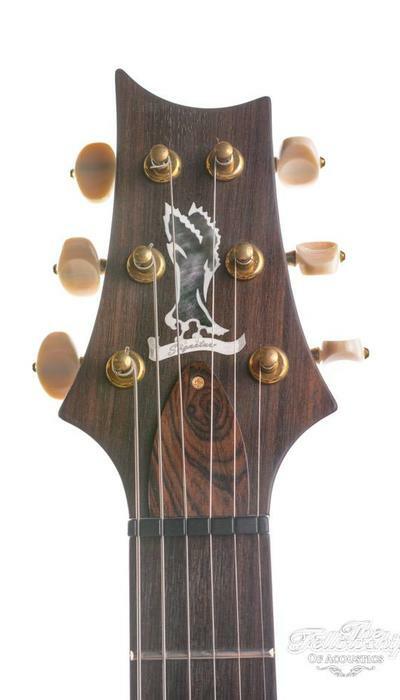 The African mahogany body has been adorned with a stunning Flamed maple top, the African sinker mahogany neck holds a select Dark Indian Rosewood fretboard fitted with Mammoth ivory "J" Bird inlays with black lip mother centers and the rosewood headstock overlay displays a mammoth ivory "Signature" Engraved banner. 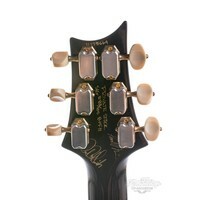 The Handmade Robson Closed back tuners offer ultimate tuning stability and complete the luxury look of this instrument. 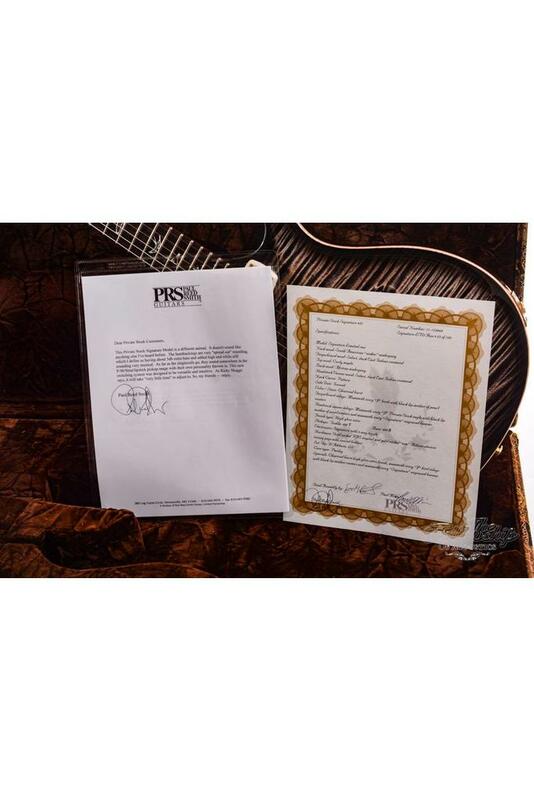 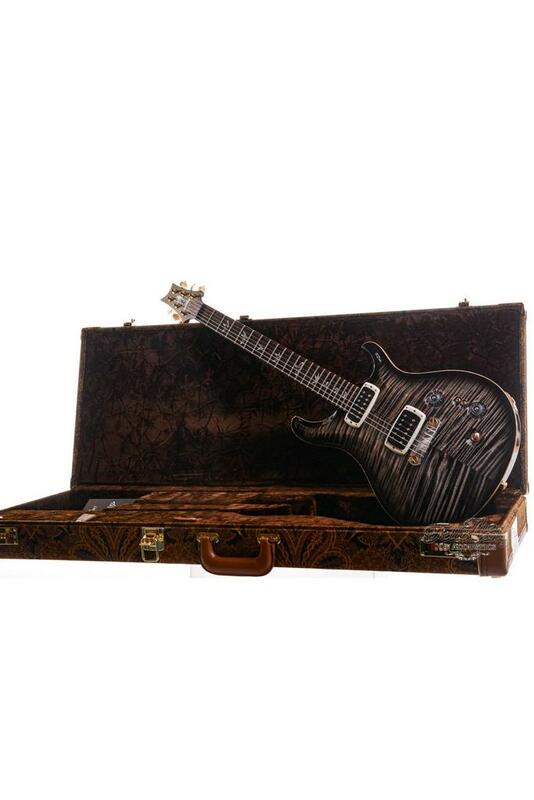 It is in near mint condition and travels in the original PRS Paisley covered hardshell case with it's certificate of authenticity.